Welcome to Marketti, the one stop shop for markets, events and festivals. Our platform is FREE for you to list your market or event and for users to access what’s going on in their area, from Craft Fairs and Car Boots to Antiques Fairs and Food Festivals, allowing you to fully promote your market and gain local and national coverage. Our powerful content management system will also save you time and money. 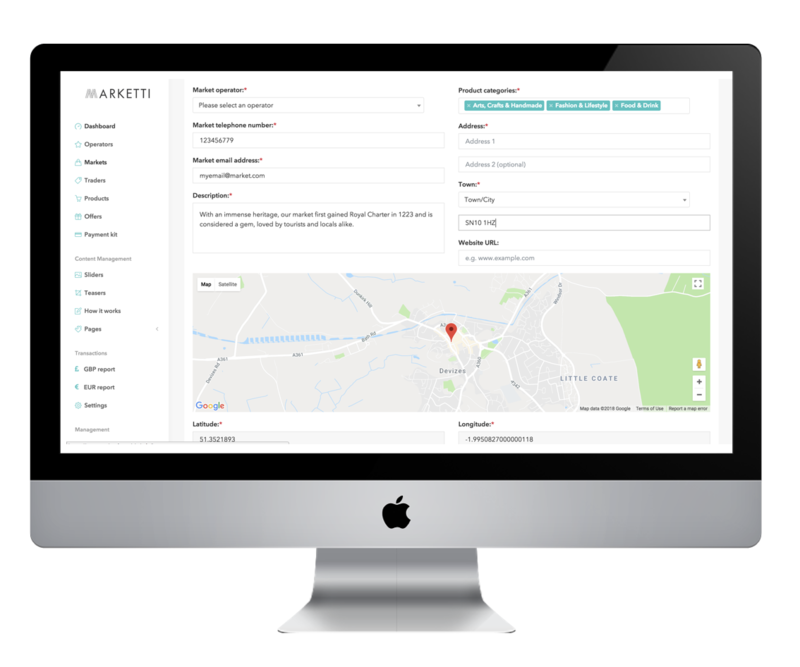 Claim your page today to start showcasing your market by entering your operator details, the market or markets that you manage, what commodities are sold on your market and your social media details. You will also need to include your company logo and high resolution imagery that showcase your market and Marketti will open-up a stream of new customers in the local community and visitors from farther afield.